(TORONTO, ON – July 19, 2012) The Toyota Venza heralded a new form of transportation for changing times – and the 2013 model year is even better with updated exterior styling, a new steering wheel and updated interior trim, plus an upgraded audio unit with 6.1” display audio and all models featuring a lower starting price than the models they replace. Changes to exterior styling on all models include new heated mirrors with integrated turn signals, a blind-spot convex mirror and puddle lamps… a new front grille and fog lamp bezel… and new tail lights. 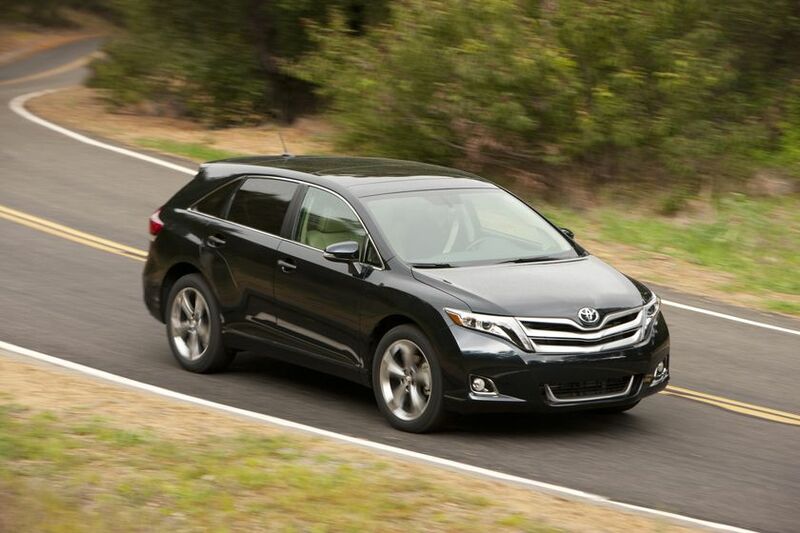 Inside, the Venza’s comfortable and spacious cabin is enhanced with simulated woodgrain trim. For drivers, a redesigned 3-spoke steering wheel on a tilting/telescoping steering column features integrated audio and Bluetooth controls. A new, six-speaker audio system with 6.1” display audio, voice recognition technology, the automatic sound levelizer system, USB and auxiliary audio input jacks, integrated XM Satellite Radio and more. Performance is assured with a choice of an efficient 182 HP 2.7L four-cylinder or a powerful 268 HP 3.5L V6, mated to a six-speed automatic Super ECT transmission with sequential shift mode. 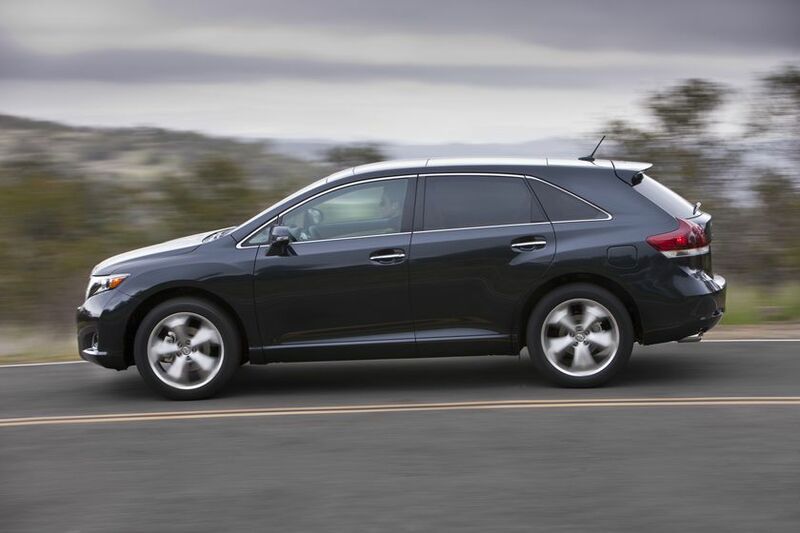 Features such as highly responsive electric power steering and hill start assist control make the Venza a delight to drive, while seven airbags and the six active technologies in the Toyota Star Safety System highlight the Venza’s many safety features. 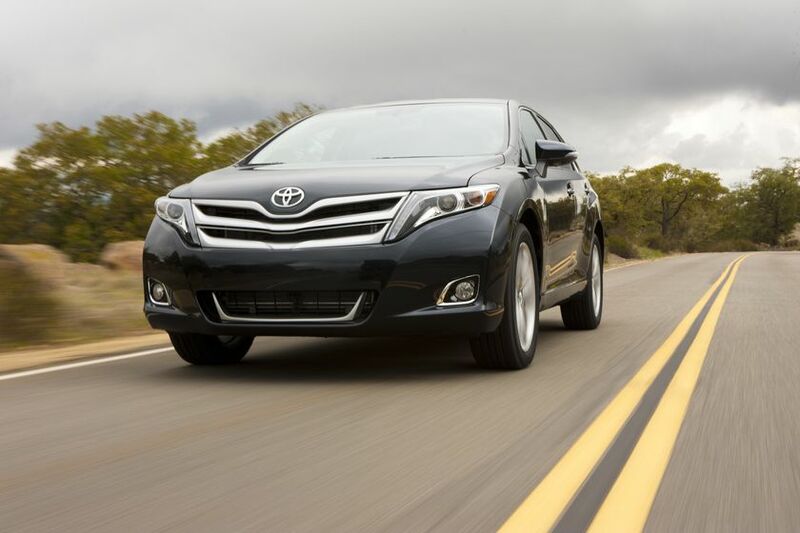 The 2013 Toyota Venza features the four-cylinder engine and front wheel drive, achieving a combined fuel efficiency of just 8.6 L/100 KM. 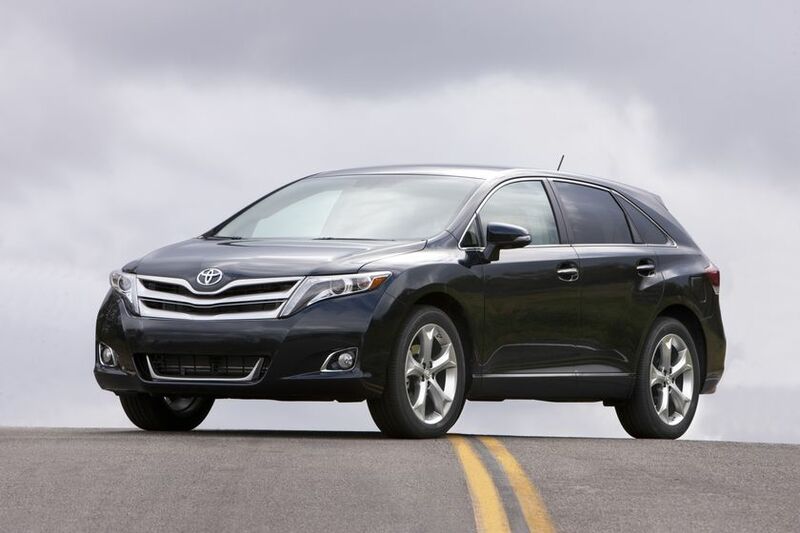 The 2013 Venza now comes standard equipped with newly designed 19” aluminum alloy wheels plus the previously mentioned upgrades, at a starting MSRP of just $28,690 – a drop of more than $700 from the previous model year while adding $565 in additional standard equipment. This model may be ordered with an available Premium Package, which adds leather seating, heated front seats, a power rear door with jam protection, back up camera, panoramic glass roof and anti-theft system. 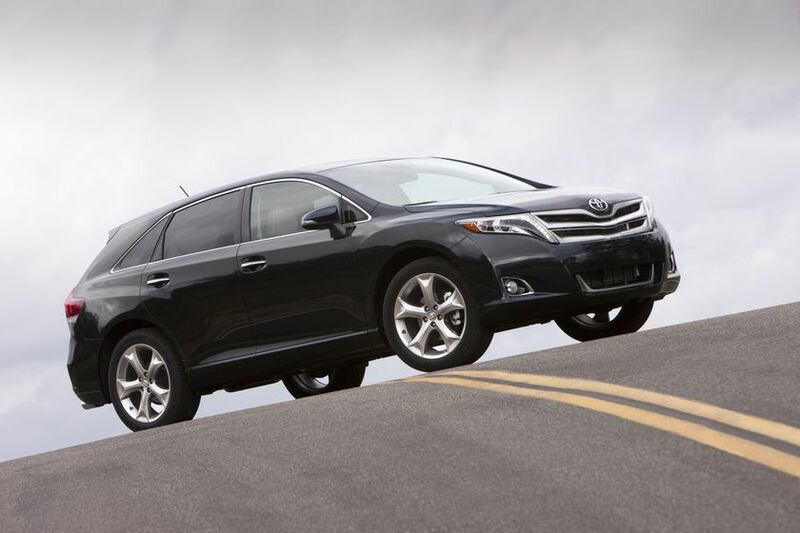 The 2013 Toyota Venza AWD features the four-cylinder engine, plus the added driving confidence of on-demand all-wheel-drive with Toyota’s Active Torque Control System, achieving a fuel efficiency of 8.8 L/100 KM combined. 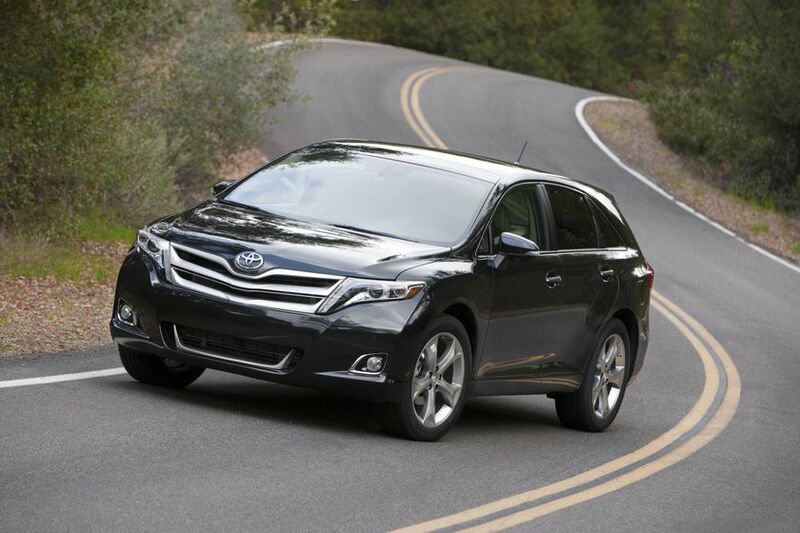 The 2013 Venza AWD now comes standard equipped with newly designed 19” aluminum alloy wheels plus the previously mentioned upgrades, at a starting MSRP of just $30,490 – a drop of almost $400 from the previous model year. 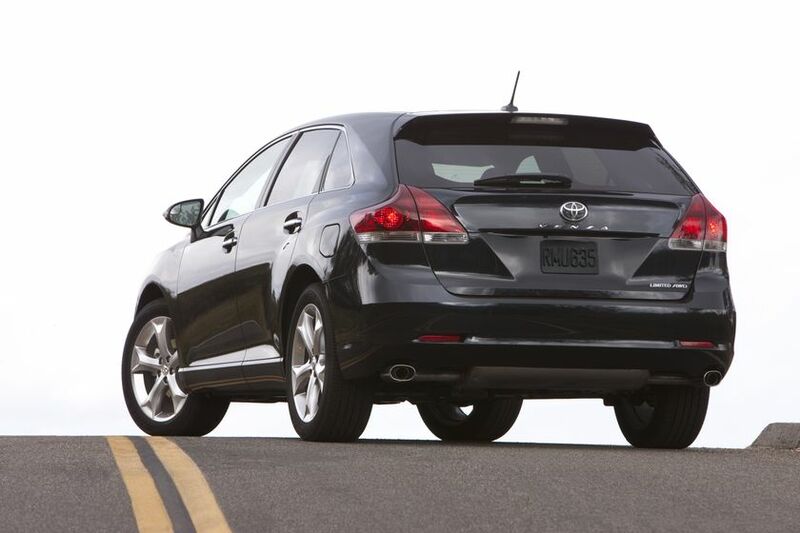 The 2013 Venza AWD may be enhanced with one of four available options packages. The Premium Package adds leather seating, heated front seats, a power rear door with jam protection, back up camera, panoramic glass roof and anti-theft system. The Touring Package builds on the Premium Package with a navigation system, a power-adjustable front passenger seat, premium leather seat surfaces, the Toyota Smart Key system with Push Button Start and front door handle touch sensors for locking and unlocking the vehicle, a leather-wrapped steering wheel and shift knob, and more. 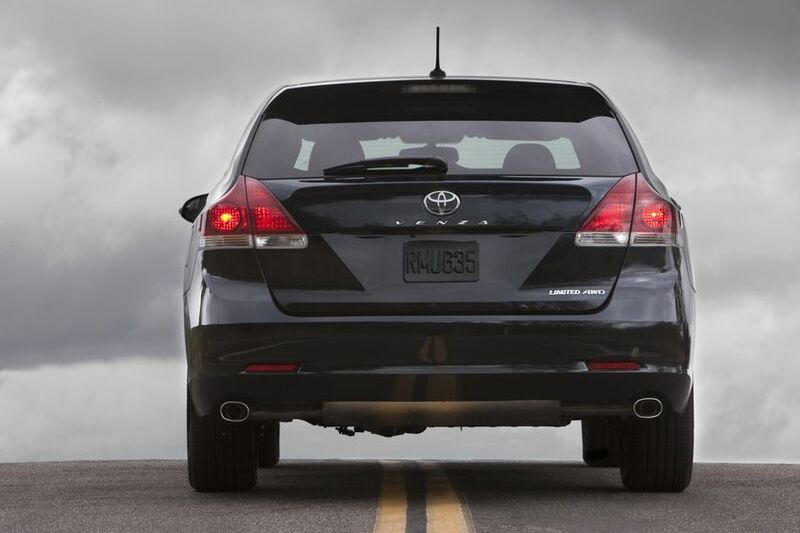 New for 2013, the Touring Package now includes a driver’s seat memory system with linked exterior mirrors, auto-leveling HID headlamps, and LED daytime running lights. The Touring & JBL Package includes all features in the Touring Package, enhanced with a 13-speaker JBL Synthesis audio system and Toyota’s automatic highbeam system. 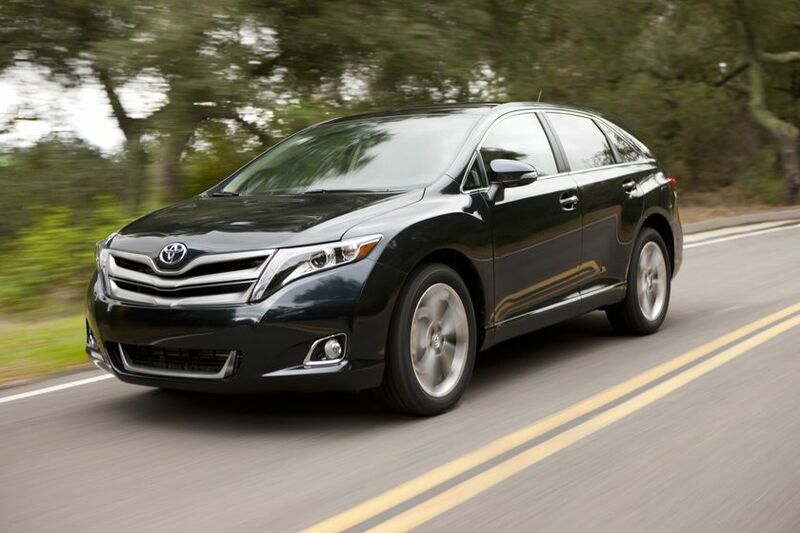 The 2013 Toyota Venza V6 features a powerful V6 engine and front wheel drive, for a combined city/highway fuel efficiency of 9.6 L/100 KM. 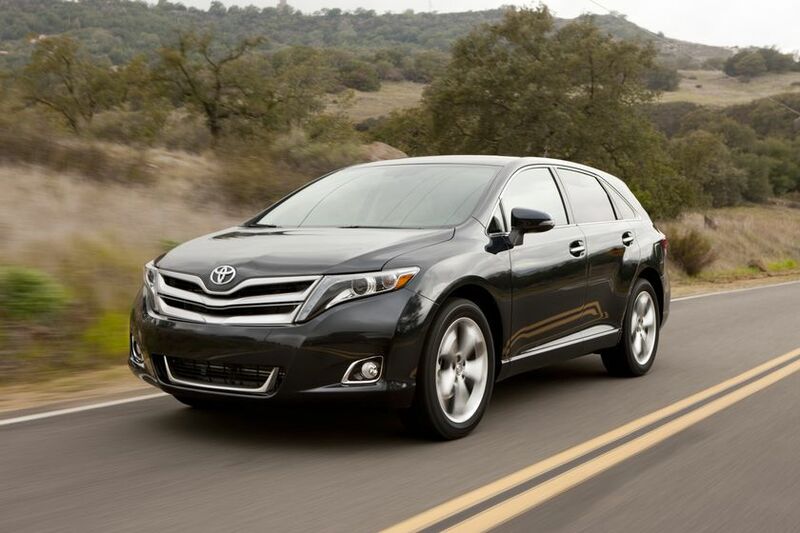 With fresh styling and upgraded audio system, the 2013 Venza V6 starts at just $30,445 – a decrease of almost $500 from the previous model year. 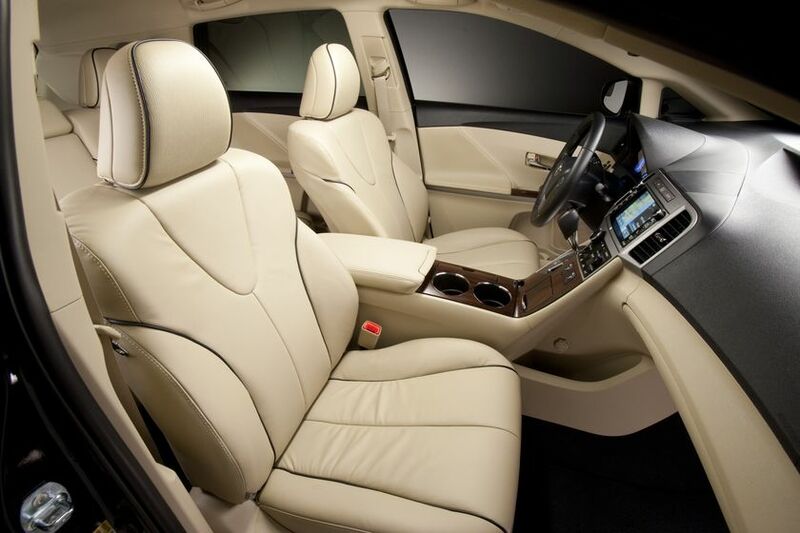 This model may be ordered with an available Premium Package, which adds leather seating, heated front seats, a power rear door with jam projection, back up camera, panoramic glass roof and anti-theft system. 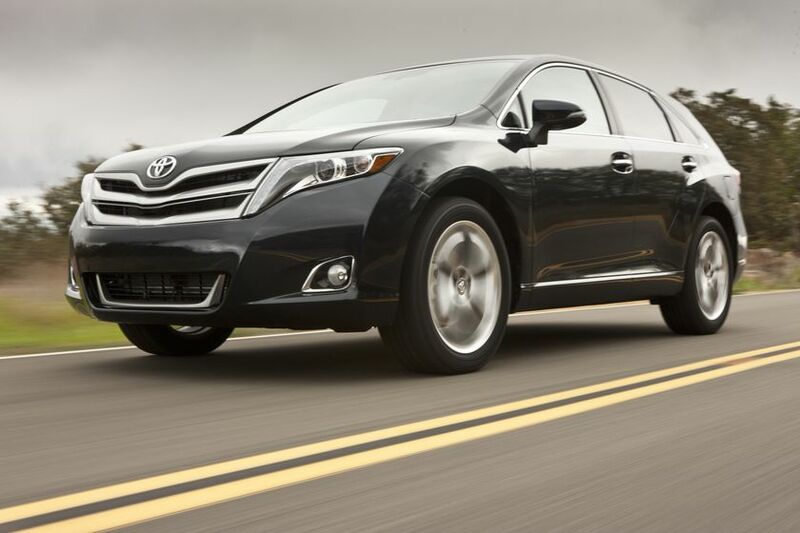 The 2013 Toyota Venza V6 AWD features a powerful V6 engine plus the added driving confidence of on-demand all-wheel-drive with Toyota’s Active Torque Control System, achieving a combined fuel efficiency of 9.8 L/100 KM. 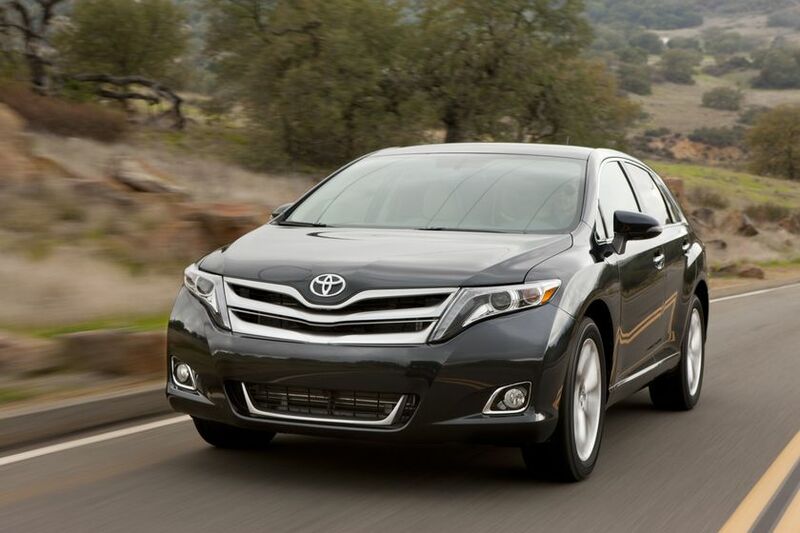 With fresh styling and upgraded audio system, the 2013 Venza V6 starts at just $32,245 – a decrease of $120 from the previous model year with over $550 of additional standard equipment. 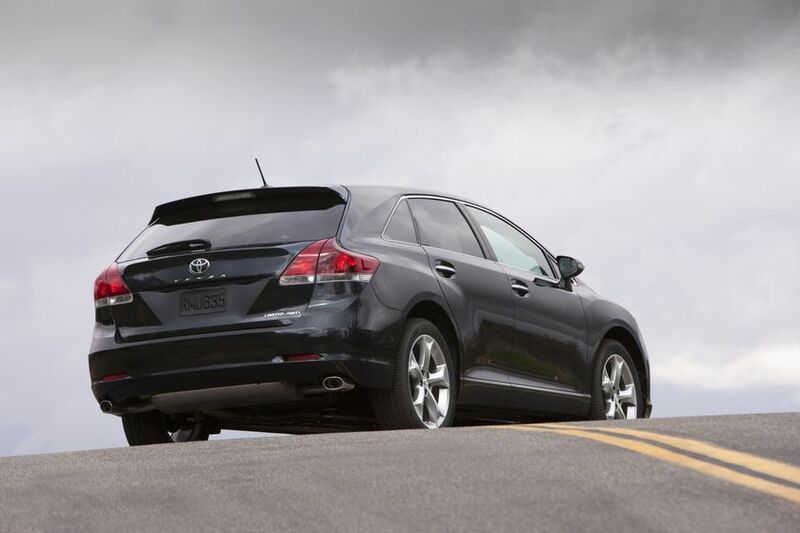 The 2013 Venza V6 AWD may be enhanced with one of four available options packages.